I get A LOT of requests about which products to use and am often asked for recommendations. From hormone-friendly beauty products to supplements I trust and use, here is my list of go-to PCOS products. To make it easy for you to navigate, they are listed by category. Hope this helps you! If you have any questions, feel free to send me a message. I’ll do my very best to answer! The items listed below are accompanied by affiliate links, meaning I earn a small commission if a purchase is made through my links. This has no impact on the cost to the consumer. I link to products this way whenever possible, and it has no bearing on the products I choose to review or recommend. Theralogix is a one of the most trusted nutritional supplements brands. Theralogix products are produced by the highest-quality, U.S.-based manufacturing facilities under conditions that exceed the Good Manufacturing Practice (GMP) standards set forth by the FDA. All of Theralogix’s products are researched and reviewed by a Medical Advisory board which consists of over 15 experts in from 6 different healthcare specialties. The company believes in transparency and products that are backed by scientific evidence. Christina Moss Naturals values simple, organic ingredients, no harmful chemicals, and the putting the environment first. Their products are vegan, GMO free, and 100% BPA free. All their ingredients are certified organic. And you won’t find them using any testing on animals. Their face moisturizer has won multiple awards for being the best for several years. It is a personal favorite of mine as well. Credo beauty is your one-stop shop for all your clean beauty needs. It carries a variety of brands that meet their strict standards- which includes not using toxic ingredients and chemicals, all products have documentation for ingredient authenticity and proof of claims, and all products are cruelty-free and are not tested on animals. They also give back. 1% of every purchases is donated to Lipstick Angels. Native creates all-natural personal care products such as deodorant, soap, toothpaste, and body wash that are better for your health and body. They believe in using simple ingredients that are safe yet effective. Their products are free from aluminum, parabens, and sulfates. Their deodorant is the best because it WORKS!!! Try it out, you won’t regret it! Enter the code HEALTH10 to receive 10% your purchase. ButcherBox is the #1 source for grass-fed & grass-finished beef, free-range organic chicken, and heritage-breed pork, delivered via subscription on a monthly or bi-monthly basis. You can enjoy your favorites without having to worry about them being pumped full of hormones and antibiotics. ButcherBox promises that their meats are humanly raised, they are the highest quality, and that they won’t ever contain antibiotics or hormones. You can choose from a variety of options or you can customize your own box. Get 2 Free Filet Mignons, Bacon + $10 off and Free Shipping! eMeals is America's largest digital meal planning company, and a comprehensive resource that helps provide healthy and delicious dinners for busy families and individuals. What is great about them is that they offer a plan for just about everyone- low carb, clean eating, diabetic, gluten free, vegan, quick and healthy, slow cooker, budget friendly, 30-minutes, and the list goes on. You can even switch between plans. A subscription at eMeals is as low as $5 a month for a 12-month subscription. You also have the option of a 3-month subscription for $10 a month. Not sure if it’s worth the money? Then try it FREE for 14 days to see for yourself! 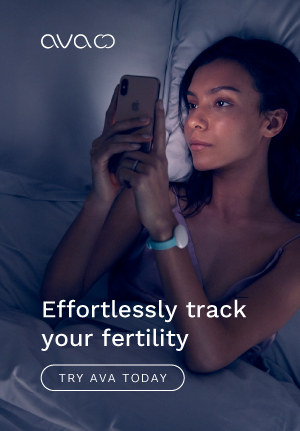 The Ava fertility tracker is for women who want to monitor their health for trying to conceive or getting to know their bodies. The bracelet collects information while you are sleeping. Ava’s sensors collects data on key physiological parameters. Ava’s algorithm then detects your fertile window, physiological stress level, sleep quality, and more. The Ava tracker was studied for over a year and was found to be over 89% accurate and it is an FDA registered device. This book is by the fabulous Dr. Fiona McCulloch. She is a naturopathic doctor who specializes in PCOS. Dr. McCulloch introduces the key health factors that must be addressed to reverse PCOS. Through quizzes, symptom checklists, and lab tests, she'll guide you in identifying which of the factors are present and what you can do to treat them. You'll have a clear path to health with the help of this unique, step-by-step natural medicine system to heal your PCOS. Jolene Brighten, ND, author of the groundbreaking new book BEYOND THE PILL, specializes in treating women’s hormone imbalances caused by the pill and shares her proven 30-day program designed to reverse the myriad of symptoms women experience every day—whether you choose to stay on the pill or not. The first book of its kind to target the birth control pill and the scientifically-proven symptoms associated with taking it . Registered dietitian Hillary Wright's popular book on nutrition and lifestyle management of PCOS, this prescriptive guide focuses on using diet and exercise to manage polycystic ovary syndrome and has new information on diet therapy and exercise, current food and fitness logging technologies, and all-new nutrition-backed meal plans. With WomanCode, holistic health coach Alisa Vitti shows women how to maintain health and vitality with a food-based program to rebalance their hormones. WomanCode educates women about hormone health in a way that’s relevant and easy to understand. And the five-step protocol can markedly improve health and overall quality of life. This guide is a must for anyone women who wants to reverse her PCOS symptoms. This guide will help you navigate working with your doctor to get you on the path to healing. It includes how to find a doctor who specializes in PCOS, the tests and ranges you need to know, research on treatment methods (that aren’t prescription) you can discuss with your doctor, how to get your doctor to listen to you when you feel like they are dismissing you and your concerns, and a supplement guide. You also get ongoing support in a private Facebook group and lifetime updates. Remind yourself that you can do whatever you set your mind to with these motivational shirts. These shirts are soft and comfortable to workout in or just lounge at home in. Available in the pink or teal design in tank, short or long-sleeve. We offer a variety of sizes. Drink your morning cup of java or tea out of this motivational mug! Available in teal or pink! Amazon Prime is my go-to. I order so much from Amazon and you know why? Because I can get everything in 2 days and I don’t have to pay for shipping! I can get everything from supplements, to cooking supplies, books, clothing, you name it! Prime membership offers special benefits including: Instantly watch thousands of movies and TV episodes, borrow Kindle books, get unlimited FREE two-day shipping (no minimum order size). If you aren’t a member already, click the link and try it for FREE for 30 days. If you don’t like it or use it, cancel it. But if you are like me, it will save you time and money! It is so simple to use and you can make a good amount of money just for buying things you already need and use. I use it every time I shop! You get $10 just for signing up and using referral code qtfktuw. All you have to do is submit your next receipt. Ebates is one of my favorite ways to save money when shopping online. Ebates is a website that is FREE to join that pays you money to shop. Just go through your Ebates account and shop online like you normally would and get money back. They pay you via check or PayPal. ﻿***Please note, all recommendations are based on my own personal research and use. I am not a medical professional and cannot guarantee any results. Always consult a doctor before starting any new medication or supplement.